A bright café & bakery offering lunch & an array of European-style pastries in sleek, airy surrounds. I first came to Floriole for a writers meetup group that explores local coffee houses to write together. 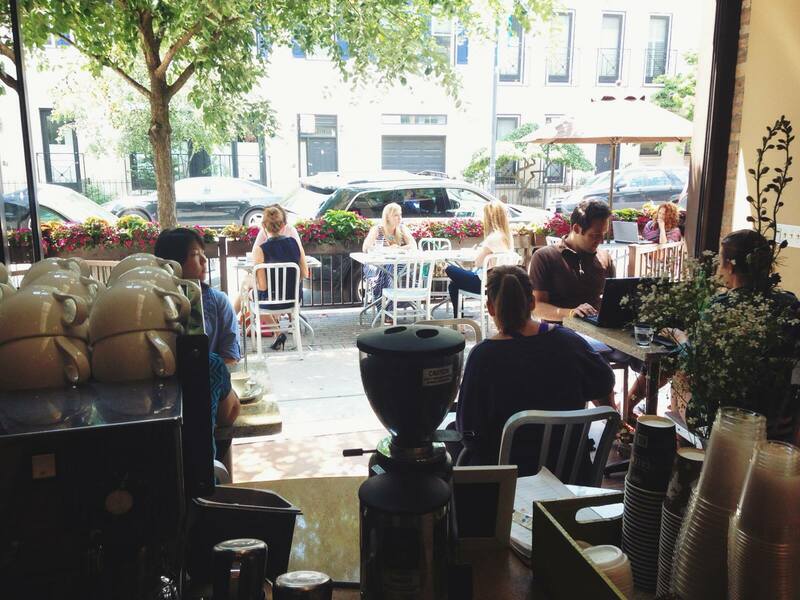 Floriole as a great place to meet with friends, get work done and enjoy great coffee and pastries. There’s a second floor, great music, lots of light, clean, and the staff is courteous. On fair weather days, they open up the huge glass frontage to the sidewalk for an all-to-cherished sidewalk café Chicago summer time experience. While there isn’t an abundance of power outlets, there is good wifi to get you online. Keep in mind that if you plan to camp out upstairs, they shoo you out (you can go downstairs) around 4pm so they can get the area cleaned up for their early close at 5:30. Have you already been here? What was your experience like? Share it with us in the comments below. This entry was posted in Chicago, Illinois, Lincoln Park and tagged food, free wifi. Bookmark the permalink.